Robert Tiplady practices in the areas of estate planning, asset protection planning, wealth preservation, business succession, and probate, including wills, trusts, powers of attorney, probate and trust administration, and probate litigation. He regularly advises business owners, executives and professionals regarding family/business succession, asset protection, tax, wills and trusts. 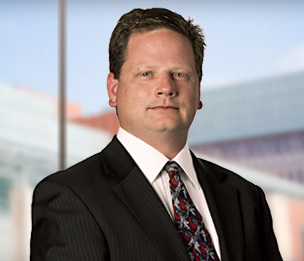 Mr. Tiplady also advises families, family offices and fiduciaries regarding will and trust disputes, will and trust interpretation issues, disgruntled beneficiaries and tax issues. Wealth preservation techniques include wills, trusts, retirement account planning, irrevocable life insurance trusts (ILITs), dynasty trusts, trust protectors, grantor retain annuity trusts (GRATs), spousal lifetime access trusts (SLATs), grantor trusts, charitable remainder trusts (CRATs/CRUTs), and charitable lead trusts (CLATs/CLUTs). Asset protection techniques include domestic asset protection trusts (DAPTs), limited liability companies, limited partnerships, and tenancy by the entirety. "Bogert's The Law of Trusts and Trustees"
"ACTEC Comparison of the Domestic Asset Protection Trust Statutes"
"Michigan Revocable Grantor Trusts, Chapter 8, 'Trust Protectors'"
"Annual Survey of Michigan Law—Trusts and Estates"